Welcome to the Music Department at Nottingham Free School! In Key Stage 3 (years 7 and 8) we aim to deliver a broad experience of music and music making in line with the expectations of the National Curriculum (2013). There are two music lessons a week which is divided into one classroom lesson and one instrumental lesson. 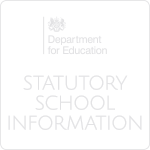 All pupils are assessed in the following areas. Performing - solo and ensemble. KS3 Music will prepare pupils for further study such as GCSE and A Levels. Pupils have the option of choosing GCSE Music in Y9. Pupils will have assessments in Performing, Composing and Listening. Pupils will need to do a solo performance and an ensemble performance on their chosen instrument. Pupils will need to compose a piece of music related to a set brief and will need to create a composition with no brief. Pupils will have an exam based on four areas of study in which they will need to answer questions based on 8 set works and an unfamiliar piece of music. 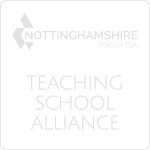 Pupils have the opportunity to have private lessons on musical instruments at Nottingham Free School. 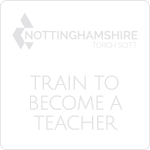 These lessons are provided by Nottingham Music Tuition. Piano, Singing, Drums, Guitar, Violin, Viola, Flute, Clarinet, Oboe, Saxophone, Trumpet, and Trombone. We have three concerts throughout the year after school hours which are to showcase the talent we have at NFS. Pupils are given the opportunity to perform in front of parents and peers and to build towards confidently playing to an audience. We have a lunch time music club on a Monday to encourage creative music making as well as two enrichment lessons, Choir and School Band.